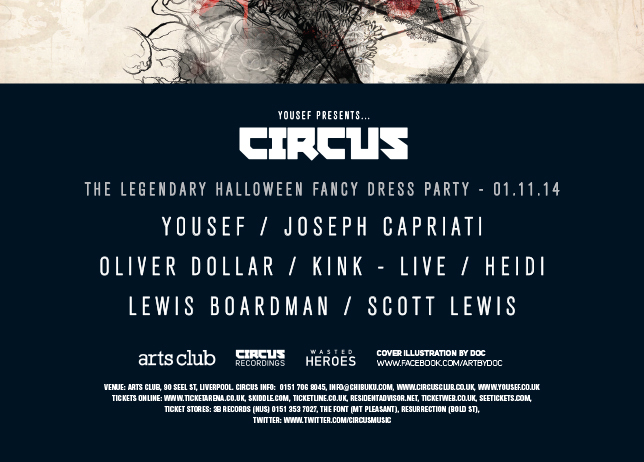 We’ve just had word that Joseph Capriati will be headlining Circus’ fancy dress Halloween party, which also features Oliver Dollar, Heidi, Kink Live, plus the main man himself – Yousef, along with residents Lewis Boardman and Scott Lewis. Capriati has been destroying crowds at Music On Ibiza this year and had the honour to fill in for Marco Carola for a couple of shows. Given the lineup, tickets are going super quick for this one, so you’d be advised to get yours quickly!